Bicycle Innovation Lab presents Copenhagen Bicycle Infrastruc-tour. Borrow a Bicycle Library bike for the duration of the tour (200 dkk extra) – optional. Contact us by email to book a date and time: mail@bicycleinnovationlab.dk. We can also arrange a longer or shorter customised tour. 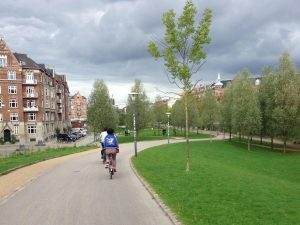 The Copenhagen Bicycle Infrastruc-tour is an extensive exploration of the infrastructure that makes Copenhagen a renowned cycling city. The tour will examine bicycle urbanism in its various forms, the relationship between bicycle infrastructure and public spaces, and the impacts of particular types of bicycle infrastructure across the city. 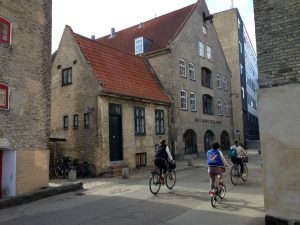 By cycling through the city we will explore how the bicycle has shaped Copenhagen’s urban development, and discuss what is and could be advanced in Copenhagen (and beyond). The tour is participatory and welcomes sharing of information.